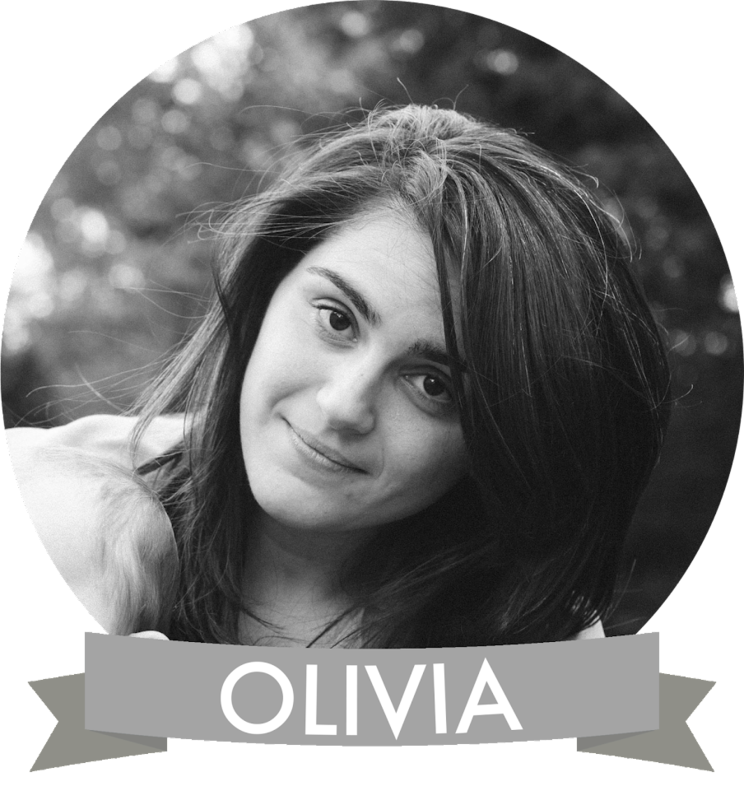 Olivia's New Year's Giveaway: What's Your Fave? Hi Lovelies, we have a very special giveaway for you all! 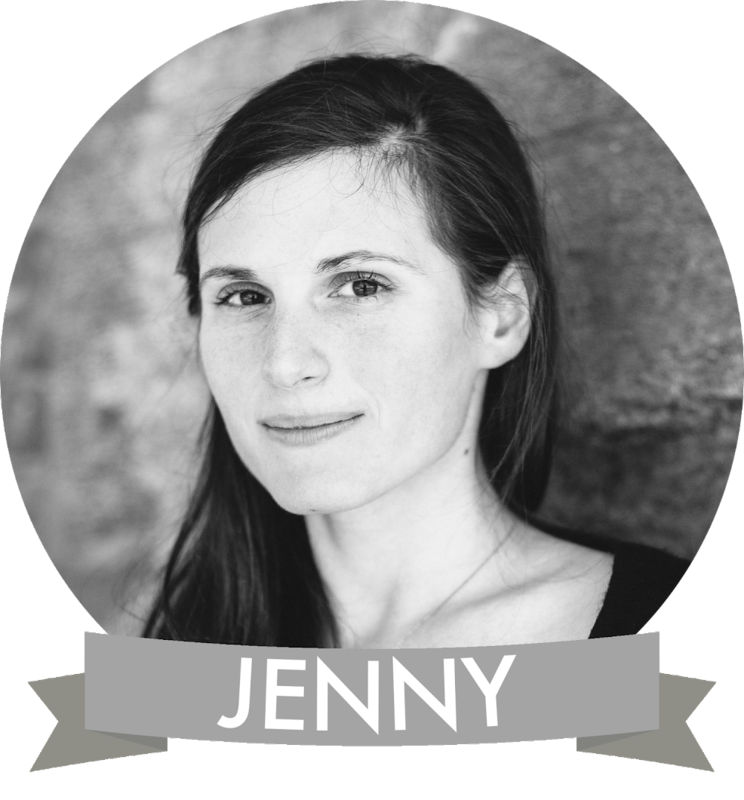 Remember how last week Jenny gave away her favorite item from Milk & Honey? Now it's my turn! Jenny and I each chose a piece which we wanted to giveaway from the gorgeous Long Island store, Milk & Honey. Milk & Honey (a favorite of Britney Spears) has the most unique, lovely, fashion forward, and beautifully sassy jewelry, gifts, and clothing (not to mention, totally affordable!). Jenny got me my Christmas present from Milk & Honey, a tiny harmonica on a chain! Loves it. I've decided to give away these lovely handmade anchor earrings from a great independent store, Cookie and The Dude. Cookie and The Dude makes awesome hair/life accessories which would perk up any winter outfit. How can you win these adorable Cookie and The Dude anchor earrings from Milk & Honey? It's so easy! Below I have a list of my favorite posts from 2010, all you have to do is comment on this entry with your favorite post from my list below. To gain another entry, comment on this entry with a favorite Lovely at Your Side post not mentioned in my list below. For yet another entry, friend Lovely at Your Side on Facebook, and come back here to tell us; and for yet another entry (yes, we love you gals this much! ), friend Milk & Honey on Facebook and come back here to tell us. You must put a way to contact you in your comment so we can tell you if you won. Contest ends on January 20th at 12 PM EST. January: I fell in love with the pillows from Mixden; so well priced and gorgeous! March: There's too many to pick from! I loved picking out the find for my Recessionista Earrings post, but Jenny's Eloise costume came in at a close second...and we can't forget my birthday! April: I'm still obsessed with my favorite Land's End dress! May: I was so happy when I discovered the Pounce button on Etsy! Speaking of Etsy, I'm still lusting after these Nan Lawson prints. July: I loved writing up my quilting tips! Gosh, I miss quilting...when is summertime again?! August: I can't not put this red letter day as my favorite post...it's when I got engaged! September: I love this post featuring very original and cool engagement photo shoots...how fun are these?! October: I think my favorite costume we featured was by Jenny, the Pam Beasley Halpert and Jim set, complete with name tags. I loved this costume! November: I loved putting together the Matryoska doll post; who knew they were so popular?! Also, it was fun to redo our About Me's (here's mine and Jenny's). December: We had so much fun filling my kitchen with chocolate covered pretzels...so delicious! So, which post is your fave? 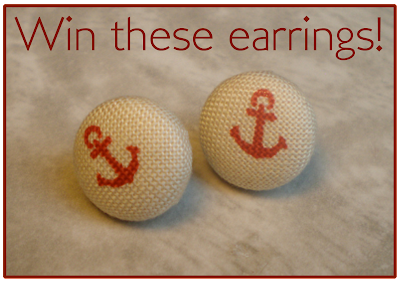 Tell us and you could win these beautiful anchor earrings! Happy New Year, loves! UPDATE: We have a winner! Number 20 :) Thanks for playing, everyone! Taylor Magnone likes Lovely At Your Side. my fave entry just has to be your birthday post! My birthday is in two days!!!! I love these earrings sooooo much too! Gorgeous earrings! My favourite post is that from November about Matryoskas, I love these dolls! I like november. Those dolls are so cool! I love the September post with all the amazing engagement shoots. They make me want to go out, get dressed up, and take some b&w photos! Love the March Recessionista post!! And to stay with March ;-) I also like the St Andrews Castle post with all its lovely pics! I love Matryoska doll post! I'm in love with this dolls! I love the post about the Lands End (April) post because I too love that dress; I don't have as many colors as you, but I even have had one for years in a strange orange color that I've worn to death. I also love the Dec 23 post about sisters. I love Joan Baez and will look for the documentary; and it makes me wistful that I don't have a sister. I love the August post where you announced your engagement. Love weddings!! Out of all of your posts throughout 2010, I would have to say that the August 'Red Letter Day' is my favorite. Congratulations on being a fiancée, and that you and your future husband-to-be have a happy and prosperous marriage! C: The reason as to why I liked this specific post is because weddings are a time of joy and happiness, the choices for your bridesmaids were beautiful, and lace wedding dresses are adorable. I also liked Honey & Milk as well as Lovelyatyourside on facebook. I really liked your September post featuring very original and cool engagement photo shoots. such a fun idea! My favorite is the March Recessionista Earrings post! Perfect: School Picture Day Dress post! I love food, so my fave is the chcolate covered pretzels. my favorite was totally the russian doll ones! Headphones based on old-world European dolls? YES. definitely the chocolate covered pretzels!!! Heard about this blog through friends at Milk & Honey. Really great stuff here. The Sept. 10 engagement photos are really incredible. Probably my favorite. i love all of your birthday girl posts. makes me wish i had a birthday (and a reason to get fancy) more than once a year. i like the august post - such exciting news! i like your most recent post highlighting Brooklyn sellers! love the post from november! Matryoskas are so adorable <3! I like the post - August: I can't not put this red letter day as my favorite post...it's when I got engaged! another post that I like is Vintage New York City Engagement Shoot! Very sweet! I liked and friend Lovely at Your Side on Facebook as Mxy Rxy Fernandez. I liked and friend Milk & Honey on Facebook as Mxy Rxy Fernandez. Oooh...a toss up between the gorgeous engagement shoots post in September and your engagement post in August! I like the wedding eye candy with the cakes...YUM. (2) My favorite post NOT on your list is actually the Wave Your Banner (Necklace) post, I think it was Jan 12 2011. (3) Jazmin Reyes [likes] Lovely at your Side (FB). (4) Jazmin Reyes [likes] Milk & Honey (FB). Hmm.. Definitely December. Filled with chocolate! I never visited NYC, in fact I never travelled much (except London) but I always looked forward to the Museum gift shops.. there was always something original to be found in there! I'm following Lovely At Your Side on FB, as wunderfraulein. I'm now following Milk and Honey on FB, as wunderfraulein. I will always have a soft spot for anything Jim & Pam related. Modern romance indeed! I liked the Red Letter News, the picture of the blue dress in the middle is great! Also enjoyed your recent Lovely Brooklyn Weekend post, great pics! Following LAYS on FB and Twitter! Liked Milk and Honey on FB!